Mireille Matt was born in Strasbourg. She studied economics at the University of Strasbourg where she has obtained her PhD degree in 1996 and started her academic career as an Associate Professor. She was Vice-Rector of International Affairs of the University of Strasbourg between 2007 and 2008. 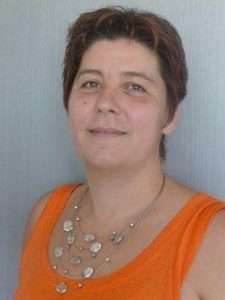 In 2011, she was hired as Director of Research at Grenoble Applied Economics Lab (Grenoble, France) at INRA (National Institute of Agronomic Research). She has participated in several EU, national and locally funded projects focusing on innovation studies, policy innovation studies, socio-economic evaluation studies, and technology transfer issues. Her research interests are in economics of science and innovation, STI policy analysis, evaluation of socio-economic impacts of large R&D programs and publicly funded research, university-industry relationships, strategic partnerships and technology transfer between academia and industry issues.